Craig Wright, the leader of Bitcoin SV and the founder of nChain has been caught on not one, but multiple instances over the years, lying about being the creator of Bitcoin. Cryptopotato in a recent report, put up proofs that traced how Craig Wright edited his paper to prove his claim of being the creator of Bitcoin. 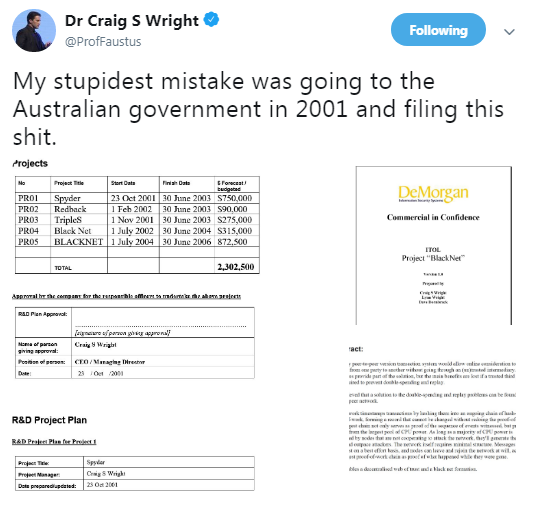 On February 10 2019, Craig Wright had posted an abstract of his project called “Black Net” that he had allegedly submitted to the Australian Government in 2001. This abstract had a lot of similarities to the Bitcoin whitepaper actually released by Satoshi Nakamoto on October 31, 2008. 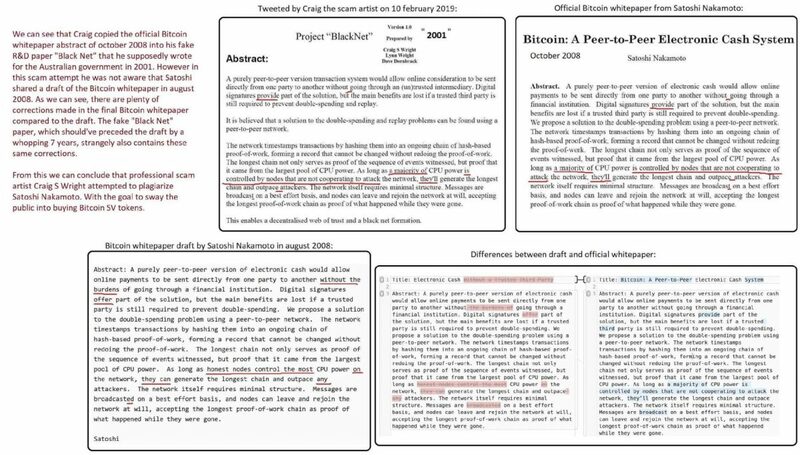 However, what Craig Wright forgot was the previous draft of Satoshi’s whitepaper that was published in August 2008. Cryptopotato compared both the papers [i.e., Wright’s “Black Net” and Nakamoto’s “draft of the BTC whitepaper”] and pointed out the similarities between them. Moreover, it was just recently reported that Craig Wright had altered his blog post dated August 26, 2008, by adding a few lines to the already existing blog, to give any person reading the impression that he was indeed working on cryptocurrency and by extension, on Bitcoin. The feud between Julian Assange and Craig Wright has been going on for over 20 years and has erupted yet again. WikiLeaks fights relentlessly to divulge the Truth. The post Bitcoin [BTC]: Craig Wright aka Faketoshi accused of lying appeared first on AMBCrypto.